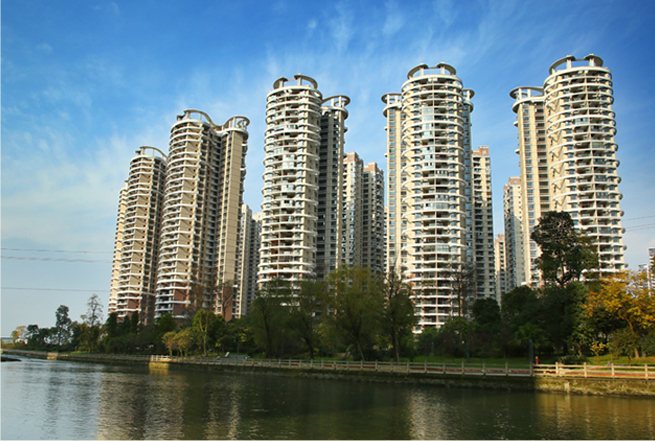 This is a mixed-use residential and commercial project development located in Wenjiang District, which is approximately 16.0 km from the Chengdu City Centre and the Tianfu New District, the business and industrial centre of Chengdu, and approximately 18.0 km from the Chengdu Shuangliu International Airport. 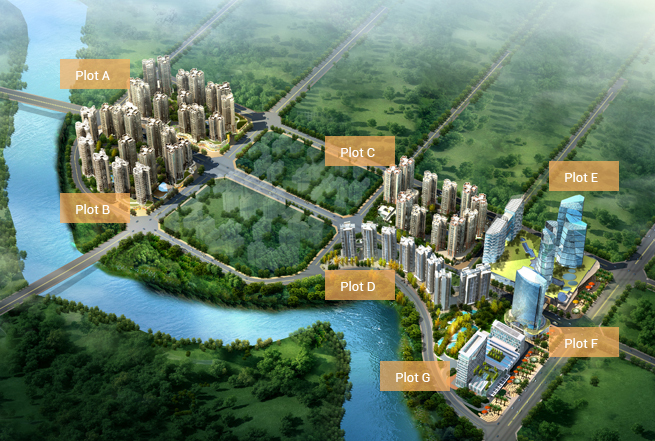 The project is being developed on two plots of land in close proximity to each other. 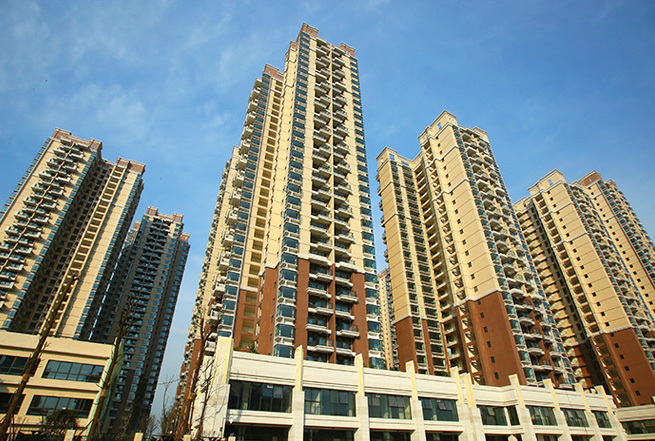 The site is divided into seven plots (plots A through G)1 comprising of around 50 residential buildings with an aggregate of over 7,000 residential units with ancillary commercial units, 2 hotels (around 600 rooms) and other commercial buildings which will provide residents with amenities such as a shopping mall, kindergarten and club-houses. 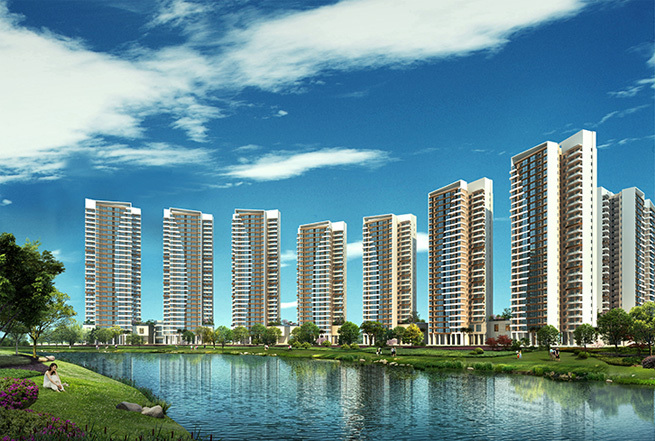 The development of the Millennium Waterfront project has an aggregate GFA2 of above 1.3 million square metres. Comprises 14 residential buildings with an aggregate of 2,000 residential units with 118 ancillary commercial units, and 1,718 underground car park lots. Comprises 15 residential buildings with an aggregate of 2,250 residential units with 96 ancillary commercial units, a three-storey commercial building and 1,905 underground car park lots. Comprises 12 residential buildings with an aggregate of 1,778 residential units with 91 ancillary commercial units, a kindergarten and 1,508 underground car park lots. 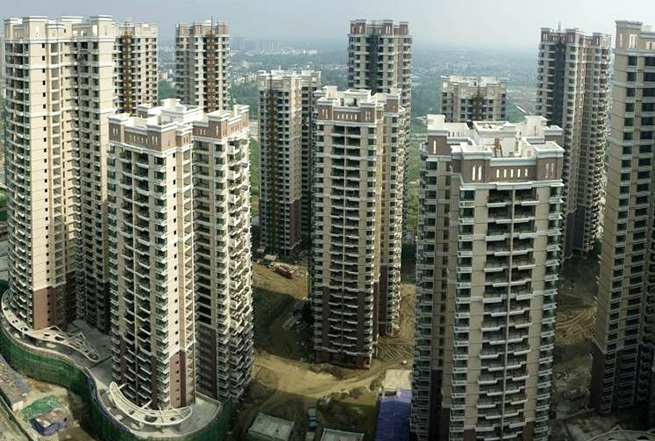 Construction is expected to commence in 2016 / Handover date is yet to be ascertained. Project currently in the preliminary planning stage. 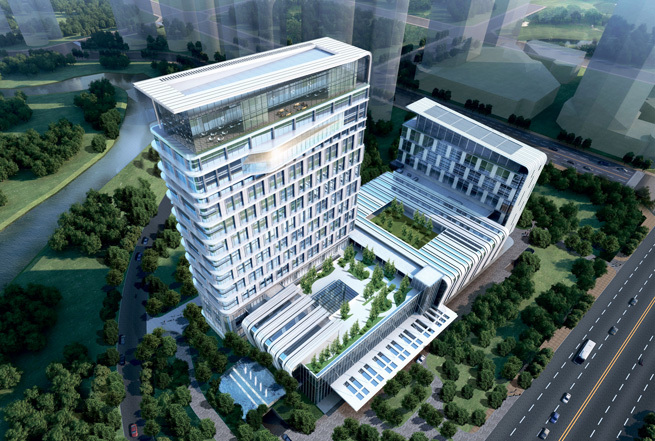 Expected to comprise commercial and office buildings, with underground car park lots. 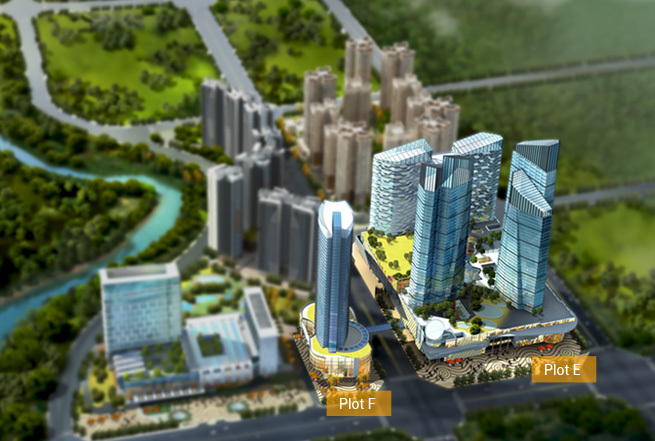 Comprises 2 hotels expected to have a total of 610 hotel rooms, retail units, recreational facilities include a roof-top restaurant, a bar, a heated swimming pool, a scenic garden, spa services as well as a hotspring, an adjoining convention centre for up to 1,000 guests, and 772 underground car park lots. 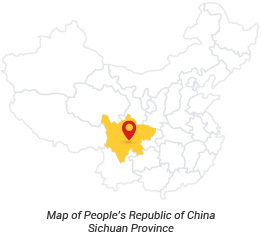 These labels have been conceived by our Group for the development project and are not official designations by any PRC authority.